Woah, an actual face of the day post, on the actual day of the makeup! This is impressive for me. I have a folder full of FOTD's to post, but I can't remember what on earth I used for them now so I don't know whether to post them. I still might. Anyway, today I wanted dramatic and bright with bold lips and lashes. This was what happened. Gah! I just love playing with makeup. I don't wear greens that often, but I do really love bright lime shades. 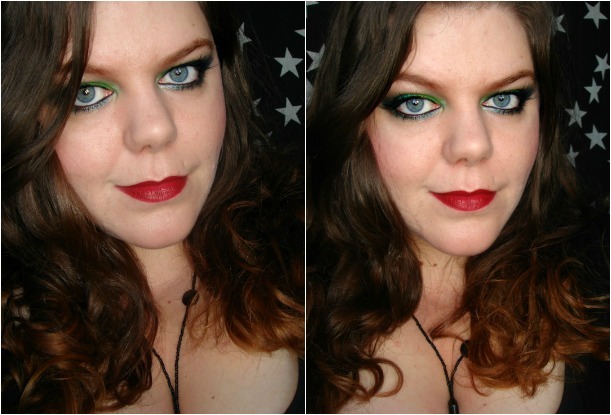 Pivot from Illamasqua is a great shade! This is so gorgeous! 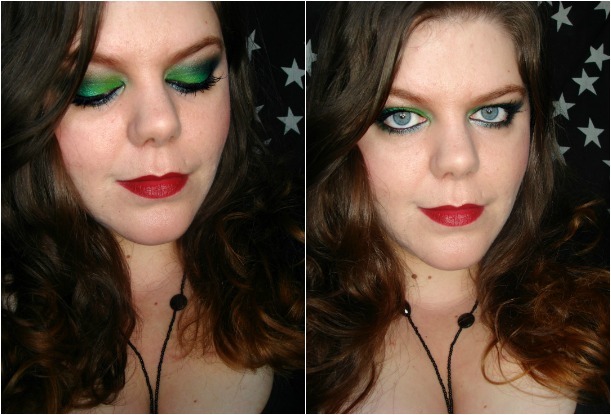 Green is one of my favorite eyeshadow colors to wear. Oh if only I were brave enough to wear green eyeshadow - this is gorgeous!